We don’t know what kind of training he underwent to get to the level he is at currently, and, the biggest question, why he’s fighting in the Tournament of Power. What is it that he desires? I think these are some of the questions that may or may not be answered in the anime anytime soon, so fans are gonna have a tough time figuring this out. But, Toyotaro, the author of the Dragon Ball Super manga thinks we’ll get some answers to these questions in the manga. Of course, because it is the manga, most of the times, it reveals additional information, and it’s going to be the same with Jiren. Toyotaro said that he wants to reveal Jiren’s Secret in the manga, unlike the anime, where most stuff regarding Jiren is unanswered. So, this basically confirms what we already know, and that is the manga will take a slightly different approach to the Tournament of Power. I think Toyotaro is referring to Goku’s fight against Jiren, and it is then where we’ll get to know some secrets of Jiren. I think Belmod will be the one revealing this, and we may even find out what race he’s from, and how it is that he was able to surpass a God of Destruction. Because of these little details, it is always fun to look out for the manga to come out. What do you think about this? Are you excited to see Jiren’s Secret being revealed in the manga? I certainly am! Let me know what you think about this in the comments section below. Hey guys. Dragon Ball Super has been continuously teasing fans with Gokū’s latest power up. Yes. 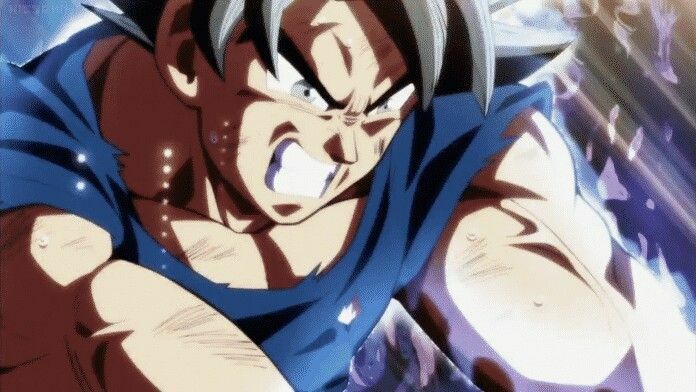 I’m talking about Gokū’s ultra instinct, which seems to come when Gokū is on the verge of defeat. It kind of looks like super plot armor. It seems to come and go as Gokū hasn’t gained control over this ability. Gokū will require this ability as more and more stronger opponents surface in the Tournament of Power. There has been lots of debate over how Gokū can use the Migatte no Gokui. The bigger debate is about the Ultra Instinct itself. It has been a subject of massive debates over the internet. However, the emergence of a new detail might just be able to help us out. In order to understand the whole thing, take a look at the tweet below. “This is more of that”intransitive verb” stuff I was banging on about the other day: Goku isn’t described as”using” Ultra Instinct, at least not in the same way he uses a Kamehameha or something. Rather, it’s described as a thing that happens.